Transitional in design, Holden is a collection of sophisticated fixtures with slightly playful silhouettes. Sleek and graceful slender tubes defy gravity to hold tall cylindrical glass shades atop metal cups. With its mid-century modern aesthetic and two finish options, the series was created with a variety of interiors in mind. Choose between a stately plated aged brass finish, or a striking matte black. When illuminated, the clear seeded glass softly diffuses the light cast by the slim candelabras for a radiant look. 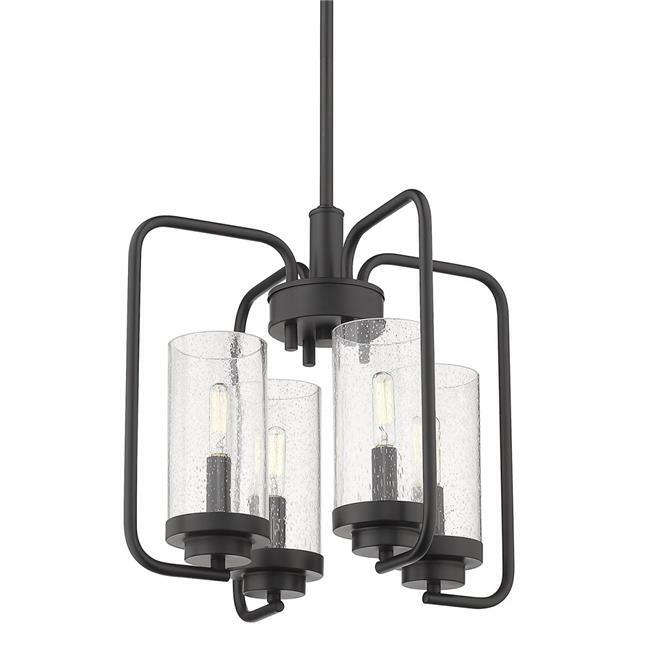 This 4-light chandelier creates a stylish focal point and is comfortably sized for intimate dining and living areas.